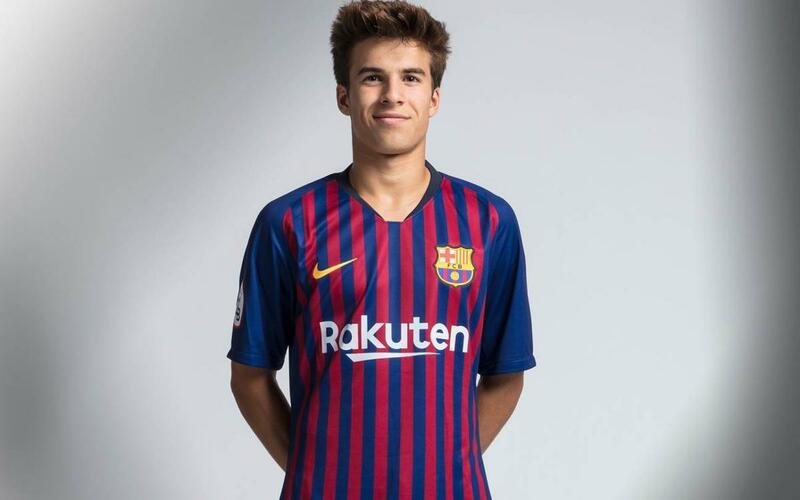 Riqui Puig is a creative midfielder with a great vision of the game and great skill. Riqui Puig started at Barça in the Under-16 category, coming from Jàbac Terrassa. At La Masia he improved as a player and has grown steadily through the categories. He made his debut with Barça B against the Gimnàstic Tarragona in the 2017/18 season. His performance with the reserves marveled the fans and he became the undisputed star of that game. For the 2018/19 season, he is playing for Barça B. His intelligence, perfect technique and ability to quickly execute make him one of the pearls of La Masia.